Elon Musk said Tuesday that a self-sustaining colony of people could be living on Mars within 50 to 150 years. The SpaceX CEO laid out his plan to colonize the Red Planet at the International Astronautical Congress, a meeting of multiple international space exploration associations in Guadalajara, Mexico. 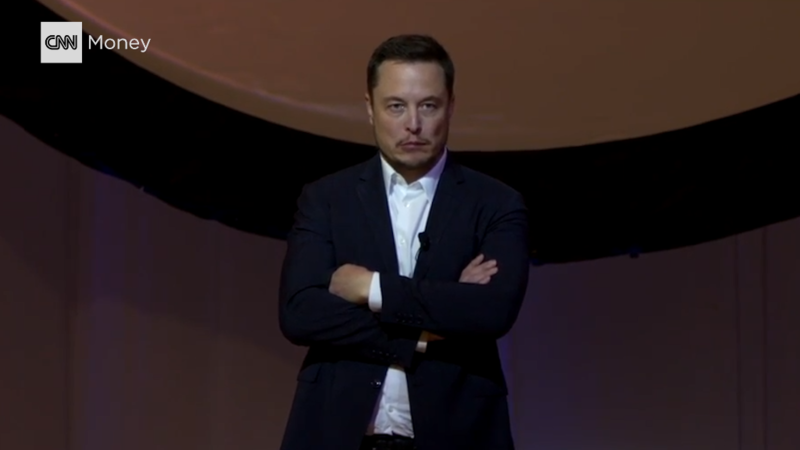 Musk has long said he wants to make humans an "interplanetary species," and on Tuesday he addressed many of the technical, safety and cost challenges he'll face. His goal is to bring the price of a ticket to Mars down to around $200,000 per person -- about the median price of a house in the U.S. Compare that to $10 billion, which is what Musk said it would cost to go to Mars using current technology. He explained that a few crucial technical advancements must be made to make that price point possible, including making rockets that are reliably reusable. The small white figure on the lower right side of the spacecraft represents the size of a human compared to Musk's Mars-bound spacecraft. SpaceX has already been heavily focused on that. The company has successfully landed six rockets that completed missions to orbit, and it intends to send one of those "used" rockets back into orbit later this year. On the technical front, Musk has already introduced the world to the Raptor rocket engine he plans to use to take people to Mars, which is different that the engines used for the Falcon rockets that SpaceX has already sent on missions. The Raptor uses a different fuel and is far more powerful. The company completed a successful test fire of a Raptor rocket on Monday. "You could lose multiple engines," he said Tuesday, "and continue the mission safely." He admits "not too many people" will want to head to Mars at first. But on the bright side, he says there will be plenty of jobs. "Mars would have a labor shortage for a long time," he added. Once people are on Mars, Musk said they'll be able to grow crops in contained buildings with compressed atmosphere. They'll also have the resources they need to make more rocket fuel -- allowing them to send spaceships back to Earth. 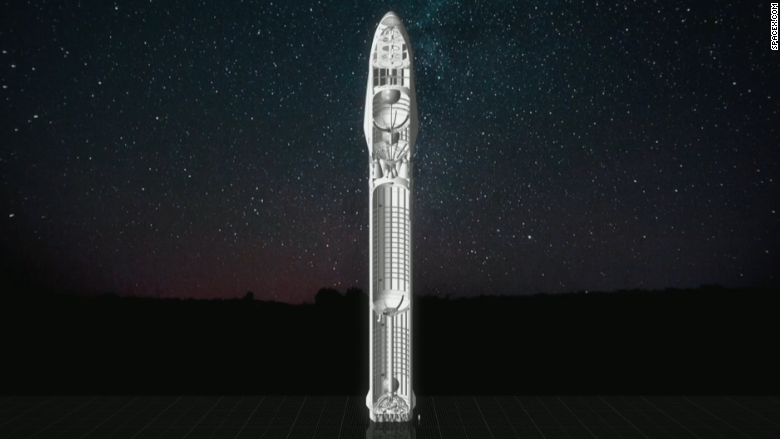 About an hour before Musk took the stage to unveil his master Mars plan, a video depicting an artificial rendering of SpaceX's "Interplanetary Transport System" was posted to YouTube. Musk has already said he wants to make the first unmanned trip to Mars before 2018. Next, he wants to send the first humans to Mars in 2024, with the spacecraft touching down in 2025. And since Mars and Earth only line up enough to execute a launch once every 26 months, he said it'll take about 40 to 100 years to make all the trips required to get a sustainable colony of people up and running. Of course, Musk is known for being overly optimistic with his deadlines, and admitted as much on Tuesday. "Timelines," he said, "I'm not the best at this sort of thing."